It is cliché to say that “knowledge is power.” Well it’s true. The key to acquiring power is knowledge. We live in a modern world where man does not have hunt for his sustenance. He does not have to build his home with his own hands. The pecking order in life is not determined by a man’s physical stature. The key to man making a mark in the world is based on his brain. He must use his intelligence and knowledge to acquire the things he needs in life. If a man doesn’t acquire knowledge then he is at the whim of other men who have acquired knowledge. He will live according to their will. That’s not living, that’s being allowed to live. To truly live Black men must acquire knowledge. There are several types of knowledge a Black man must acquire. The first is knowledge of self. This is twofold. Every Black man must have an understanding of what Black men have accomplished throughout history. Despite propaganda to the contrary Black men have accomplished great things. Every Black man must know in their hearts that they are the descendants of men who have forged empires. Our history didn’t begin with slavery. Even during those times Black men rebelled on myriad levels. Know this truth. More important every Black man must know himself. It’s good to read about the historical accomplishments of Black men but every single Black man must create his own legacy. In order to do this he must know his own strengths and weaknesses. He must know where he is going and how to get there based on who he is. He must also know his weaknesses in order to overcome them. Once a man truly knows himself he develops the ability to accomplish any goal. So now a Black man has knowledge of self. He must develop the skills to impose his will on his world. All men must develop a special skill that serves his life purpose. Whether this skill is the ability to repair a machine or to write a computer program he must have something for which he can be compensated. As mentioned earlier men don’t hunt in wild anymore except for sport. Man uses money to take care of his needs. A man must have a skill in order to get money. Black men need to pick a vocation and develop knowledge of all aspects of that vocation. It is a spiritual endeavor to master a discipline. Every man must become an expert at what he does. 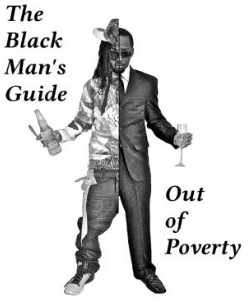 Finally a Black man must have knowledge about life. This isn’t a knowledge that is gained in a book. One doesn’t learn about life while sitting in a classroom or a training program. Knowledge about life is simply having some street smarts or as the elders would say, common sense. As we can see with the decisions many people make in life, common sense isn’t common. The problem with common sense is that many people refuse to learn from their personal experiences. They trust the judgement of those outside of themselves. They believe what’s written in a book outside of what they see with their own eyes. The best teacher for anyone navigating life is life itself. For example, I write often about relationships. Most people have relationship issues because they refuse to learn from experience. If they keep running into negative relationships the common sense thing to do would be to look at themselves and ask what they are doing wrong. Instead they blame everybody else and keep making the same mistakes. A person has to have knowledge about life and how to deal with people. Knowledge is key. Men must always seek knowledge in order to live the life they desire.